What the Heck is Intestinal Lymphangiectasia? Leroy's Story | Dawg Business: It's Your Dog's Health! Inflammatory bowel disease (IBD) is like a box of chocolates; you never know what you're gonna get. Inflammatory bowel disease is a form of auto-immune disease in which the stomach and/or intestine become overwhelmed by inflammatory cells. The resulting chronic inflammation leads to changes in the lining of the digestive tract, messing with passage and absorption of food. At the time of her diagnosis, Jasmine's looked and felt like a tumor. 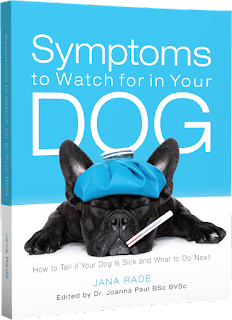 Symptoms can be anything from diarrhea, vomiting, weight loss, abdominal pain, gas, noisy stomach, lethargy, and coat changes. Because it debilitates nutrient absorption, an entire body can become eventually affected. If you're lucky, you can stay on top of it, but I have seen dogs die too. With Jasmine, once it was finally diagnosed, we managed well with dietary changes, TCVM, supplements and the odd course of Metronidazole. But sometimes even the strongest medications fail to keep it under control. A friend of mine, over at My Brown Newfies, has been fighting with this disease for what it seems forever. The disease is hitting hard and pulling all dirty tricks it can find up its sleeves. Her lovely gentle giant almost died a couple of years ago. It's been a long fight, but so far they are winning. "Intestinal lymphangiectasia, it is an intestinal disease in which the ducts carrying lymph leak protein and other substances into the intestinal tract. This can cause, abnormal fluid accumulations and weight loss ... Leroy’s Lymphangietasia is secondary to his IBD, or so we are told." Here you can find a list of measures they use to get things under control. 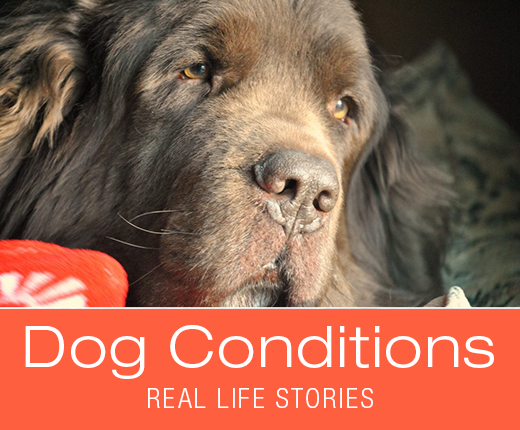 Caring for a chronically ill dog is not easy. I've been there, done that. There are good days, and there are bad days. Or, in case of IBD, it's more like good weeks and bad weeks. Even when you're doing everything right, and things have been working, something always seems to throw it off balance, and you're dealing with another flare-up. Sometimes there is a trigger you can identify, sometimes it defies all rhyme and reason. 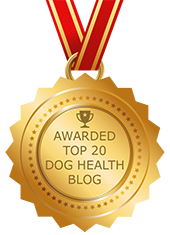 The best thing you can do is learn all there is to learn about your dog's condition, potential complications, and treatments. Over time you are able to see the subtlest signs of trouble in the making. The sooner you act, the better you can keep things under control. With Jasmine, we never knew the reason for the next flare-up. Perhaps it was something in the air. Or perhaps that was as far as her system could hold it together. At least, don't give up easily. Sometimes a chronic disease takes over and won't respond even to the best, most aggressive treatment. But until then, give it run for its money. Have a Hail Mary strategy but don't overuse it. Hail Mary with IBD are immunosuppressants, such as steroids. I knew that was an option I might use one day. There were times when I just about made the decision to use them. At least one of those times I would have killed Jasmine if I did use steroids as it turned out she had an abdominal abscess nobody knew about. If you're interested in Leroy's story, follow My Brown Newfies. 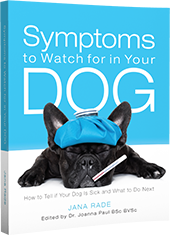 An award-winning guide to better understanding what your dog is telling you about their health, Symptoms to Watch for in Your Dog, is available in paperback and Kindle. Each chapter includes notes on when it is an emergency. Thank you for sharing Leroy's battle with this. The more I learn about this condition the more I feel like it's under diagnosed because it's so expensive to do the intial work-up and it can be masked by so many other things. I know you battled the IBD with Jasmine and I learned a lot about it from you! It is pretty under-diagnosed; Jasmine was undiagnosed with this for five years and it was found "accidentally" when we were getting a second opinion consultation about her knee injury. Sadly, the only conclusive diagnosis to date is a biopsy. They are working on studies to be able to use gut microflora to diagnose IBD; that would be fantastic if they were able to get that going. The connection between the structure of the microbiome and incidence of IBD seems strong; whether it is causative or a outcome. So I am curious whether that goes somewhere. I remember reading about that. That would be awesome. I've also been reading that dogs with IBD are more prone to bloat which is scary. Thank you for sharing. It's good to know what symptoms to watch for so we can take proper care of our pups! Cushing's was the only chronic disease that I have experienced with my dog. We were able to keep him going pretty well for 3 more years. He enjoyed his life. The comfort is in knowing that our dogs live in the moment and unless they are really uncomfortable, they find a way to enjoy their days with us. Cushing's is, sadly, quite common in dogs too. Any chronic disease is a challenge. Oh man, that sounds so rough! Chronic complicated issues are tough to manage. I appreciate you sharing Jasmine & Leroy's journeys with it to help others. Yes, it can get pretty complicated; and IBD ranges in severity from mild to severe and even deadly. No I never dealt with this issue. 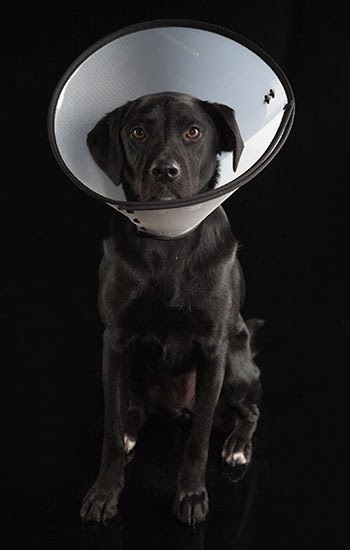 Honestly I never heard of this serious IBD condition in dogs. I can relate to dealing with caring for a beloved pet with an ongoing condition. I feel for you and your friend. So sorry Jasmine and Leroy are dealing with this. Are there known triggers/causes for this auto immune disease? There is still a struggle to even diagnose it properly; very little is known about triggers. The two causes listed are either parasites or food allergies. In Jasmine, the cause was food allergies. The big question still is, why the heck are dogs allergic to food? There is also some indication that it has to do with the gut bacteria but it isn't clear whether it's the cause or a result and if it is the cause why it gets messed up. Of course, the suspects again would be diet and/or antibiotic treatments and stuff. It never ceases to amaze me, how much cross over there is between human and animal diseases. Our dog Harley had diabetes, diagnosed after I noticed the symptoms I see in my human patients in him and called our vet. Then Shasta had Arthritis and Cushing's disease. Special need furry family members has become our thing... ;-) Thank you for helping shed light on symptoms as well as caring for our special needs furry friends! 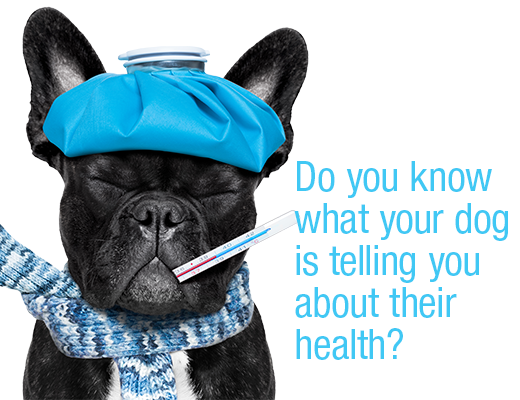 Yes, dogs and people, sadly, have many diseases in common. Bernie has atypical Addison’s Disease. He was diagnosed about 15 months ago, so learning the subtle signs of a chronic disease is a definite must. I totally agree with you that educating yourself and knowing how to read your pet are crucial. You guys did a great job getting it diagnosed. Addison's is one of the things that go largely un-diagnosed. Chronic illnesses are tough to deal with. Mr. N gets super clingy when he's not feeling well so I usually can tell if we have to go to the vet or not. It's great that you have a clear sign when something isn't right. That is what's important - being able to tell. Science needs to get its head around the causes of things like this. Such things are a real struggle but one a pet parent takes on knowing their pet loves them and needs care. If antibiotics were still being developed I wonder if they might help. Sadly with no antibiotic for the past 10/14 years (no money healing pets) we lost a weapon in our armoury. I had no idea dogs could get this! Thank you for a most interesting post. I suffered from IBS for years.... and I assure you having bowl issues is zero fun. Poor pooch!! Yes, sadly, they can. And yes, I too can personally relate to that. I wasn't aware that dogs can get severe IBD. I've heard of it often with cats, though, and I know it can be a horrible thing. thanks for this information. Unfortunately, they can. I know two dogs who actually died; that's how severe it got. Poor Jasmine and Leroy. IBD can be painful and very dangerous. I am working with the Canadian Digestive Health foundation on a documentary on IBS and the gut brain connection in humans (we also looked briefly at IBD). The whole area of inflammation, gut issues etc is very poorly understood. In humans, they believe stress and the ENS play a big role. I know there is some interesting research on the microbiome in animals and humans and some trials of new treatments. What a great project; yes, how the gut works and how it affects the rest of the body has been poorly understood for a long time. I still remember mainstream dismissing holistic vets talking about the importance of microflora. Now the science is catching up. I know that IBD is such a difficult thing for humans to deal with, it must be doubly hard to care for in a dog. I'm just another member of the Leroy fan club, and I'm always hoping that he is doing well. I don't know if it's harder in dogs but it can certainly get nasty. Knock on wood - I've been very lucky with my last four cats that they haven't had digestive issues. I have biopsy-diagnosed Celiac Disease, so I'm aware of the dangers and trials of dealing with an autoimmune disease. Thank you for sharing this information. Sorry to hear about your Celiac; nasty as well. Glad your kitties escaped such trouble. IBD in people isn’t well understood either is it? It seems like often times people struggle with no clear understanding as to why until they are finally diagnosed. And with them it seems to be a struggle to keep under control. Dogs are so much more challenging, especially giant, stoic dogs like Leroy, because they can’t tell you they are in pain. You have to use the body of evidence and some trial and error to find what helps them. I feel for you, Jasmine, Jen and Leroy and appreciate you sharing such important information about IBD with all of us! Thank you, Stephanie. Over time one gets a sensitive radar to any changes; so even subtle things are enough to know that a flare-up is coming. Poor Jasmine, that must have been so hard for both of you. I remember when Jen's dog Leroy was going through his most difficult time 2 years ago. It was heartbreaking to read what they were going through. It was awesome to see them at the BlogPaws conference last year! Thanks for sharing this info.